Freedrum Review 2019 - Is This Virtual Drum Kit Any Good? Freedrum Review – Is This Virtual Drum Kit Any Good? I think you’ll agree that drum sets are beautiful but also clunky and loud, so you’re limited in terms of when and where to play them. So wouldn’t it be nice to have a drum kit that fits your pocket and that you can take and play anywhere (!) you go? I’m talking hotel rooms, airports, or on a hill while hiking with the family. Well, these thoughts might have earned me a round of laughter a few years ago, but now all this has become reality. Is Freedrum any good or just a nice idea executed badly? What are the strengths of Freedrum – what its weaknesses? What about Freedrum in comparison to Aerodrums, the one other virtual drum kit on the market? I inquired about Amazon with the Freedrum team. They stated that they “are looking into and have plans for distribution on Amazon”, but there seems to be not time frame specified for this. Fortunately, you can simply buy from their own website in the meantime. …I think you’ll agree that even the packaging of Freedrum looks pretty damn good. Note that these are the contents of the more expensive complete kit. You can also go for the cheaper “Starter kit” which differs in the amount of sensors your get (2 instead of 4). If you want to play a “full” virtual drum set – including Bass Drum and HiHat – you will need 4 sensors and I don’t really see the point of buying 2. If I weren’t sure if Freedrum is right for me, I’d order a complete kit, test it out myself and send it back if I didn’t like it. Freedrum’s return policy grants you 14 days to do so along with a 1 year warranty and free shipping. 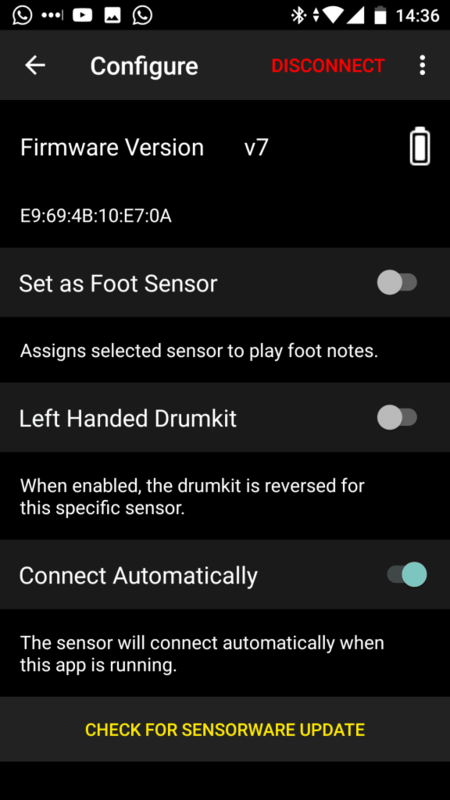 Now you simply tap the transparent rectangle at the top of each sensor to switch them on and – given that you’re connected to the app (which I’ll explain further down) – you’re good to drum away place on you sock or shoe and you’re good to go. Now what about the actual feel and the responsiveness of the sensors? Well, first of you have to take into account that an air drumming kit like Freedrum simply isn’t a real, physical drum kit. That is not a bad thing, it just means that you’ll have to play it slightly differently. The “hardest” part for me to get used to was hitting the right cymbal or tom initially, since sometimes when you switch the sensors on, the default position of your hands will have your left hand placed on the snare and your right on the floor tom for example. Yet, once I had asked the Freedrum team about this, and once they sent me this overview, things got simpler, for I understood that the sensors “find” the drums and cymbals according to the horizontal and vertical angle of your stick. That means: hold the sticks right in front of you and Freedrum will play a Snare sound. Shift them about 50 degrees to the left and you’ll be playing a HiHat sound etc. Further, if your angle your stick upwards from the snare, Freedrum will play a High Tom sound (there’s no Tom 2 by the way). Angle up from the Floor Tom and you’ll hear a Ride Cymbal being played. So, again, it took me about half an hour to consistently hit the intended drum / cymbal, but I think half an hour is an acceptable time to get used to a new piece of drum gear. What helps is that the sensors change the color when they detect a shift from one drum to the next (blue for Snare, green for HiHat etc.) – and the above plan which I put right in front of me on the floor when playing Freedrum for the first time. After that I was impressed at how accurately the sensors detected the differences between ghost notes, normal strokes and accents or even rim shots on the snare. 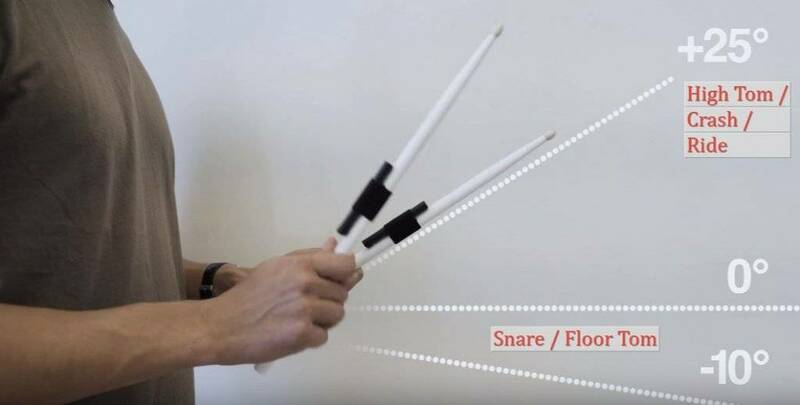 Even open HiHat sounds are possible and signalled to the sensors by simply turning your stick 45 degrees to the inside so that the LED of the sensor no longer faces up but towards your other stick. The one negative thing about the sensors is that they can get your sound wrong when you do a whipping motion with your stick. This makes me not recommend Freedrum for a beginning drummer, since whipping motions – that is, ones where you use your arm more than your wrist – are an essential part of drumming and the essential element of the famoss Moeller technique. In conclusion I think that playing Freedrum can be as easy and effortless as playing a real drum kit – you just need to take some time to learn how it works. Freedrum’s very own tutorials were all I needed for this. Please note that, at the moment, your can’t move individual drum parts around. The Freedrum team is looking to build this into the software through a future firmware update, but so far you have to stick to the default HiHat, Snare, Crash Cymbal, Floor Tom and Ride Cymbal – as well as their default positoning. Of course, Freedrum doesn’t work through its hardware sensors only. It also needs software and that comes in the form of the “Sensorware App”. This app runs on all newer iPhones (5 onwards), iPads (3 onwards), MacBooks (MacOS 10.10 onwards) and Android phones and the first time you switch it on, you’ll need to calibrate the sensors. 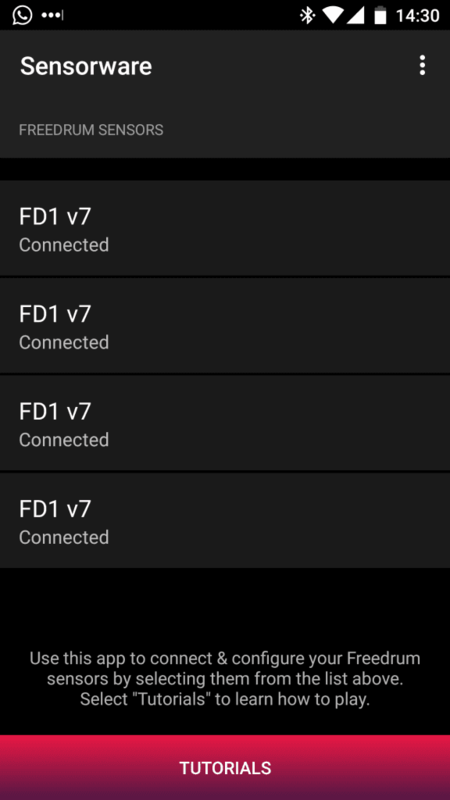 shows you the number of sensors connected. “Minimalistic” is meant in the positive sense here, since there are no fancy buttons or symbols I need to wrap my head around and can start playing away right then and there. Also, after you’ve calibrated your sensors and you turn them off (simply select “turn all sensors off” within the app), Freedrum will automatically connect the sensors to your app the next time you turn them on. So nothing to complain here from my side: the app does what it does without confusing bells an whistles! …but it provides it only to iPhone, iPad or a Mac users. 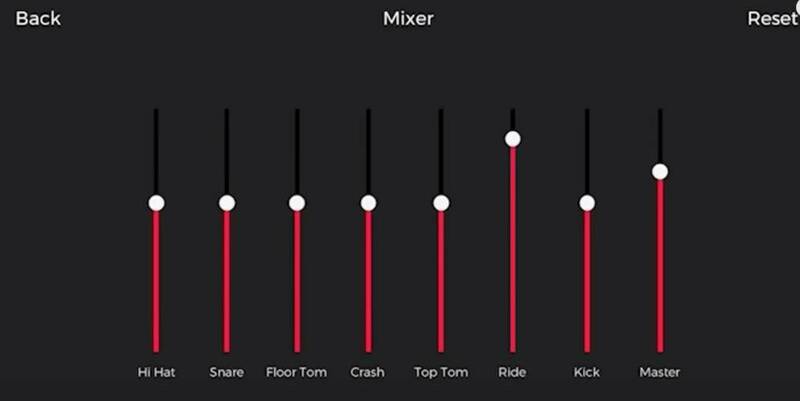 So I, as a Windows and Android user, couldn’t see the drum set – which didn’t really bother me – but having no mixer can be a bummer. That means: as long as you’re operating through an external speaker or a DAW / music software, you’ll have external means of mixing your sounds anyway. But once you’re playing through an Android phone, chances are that your bass sounds won’t be loud enough. In that case you’d be stuck with it (although good headphones might help). I’ve agonized about including this criterion, since Freedrum can only sound as good as your speaker, device or music software (in case you’re using one). So I have included it, but I’ll only say something about how Freedrum sounds on my phone and inside the Sensorware App – which seems to be the native use case for it. And I’ve found no flaw whatsoever with the Freedrum sound played through the Sensorware app on my phone and without any manipulation through a midi software. I could hear distinguish every drum and cymbal well and the sound was clearly recognizable as that of a well-tuned drum set. Obviously, there’s lots of room to grow from there once you start using a music software like Garageband or hook your Freedrum up with a drum amplifier. I’ve tried the latter and was very, very impressed. I’m impressed but what do you think? The only alternative to Freedrum is Aerodrums. It came out about 4 years ago and was the first sophisticated virtual drum kit. Now, Aerodrums works very differently from Freedrum and you can find out all the details on that in my Aerodrums review. Here I will stick to where I think Aerodrums does better or worse. First off, both “drum kits” cost about the same (when talking about Freedrum’s “complete kit”; the “starter kit” is a good bit cheaper than Aerodrums). …. Aerodrums lets you freely re-arrange the kit’s parts, so you can set it up just like your real drum kit. Also, you can choose between various different setups suited for different genres and even create your own custom kits. … Aerodrums does allow for whipping motions which – as I’ve explained above – are essential to learn as a drummer. … I found the sensors to be more accurate. Meaning: with Freedrum I almost always produce the drum sound I intend to produce. With Aerodrums it happens that I hit the Snare when I intended to play the HiHat etc. … Freedrum is a drum set for anyhwere whereas Aerodrums is one for the living room. 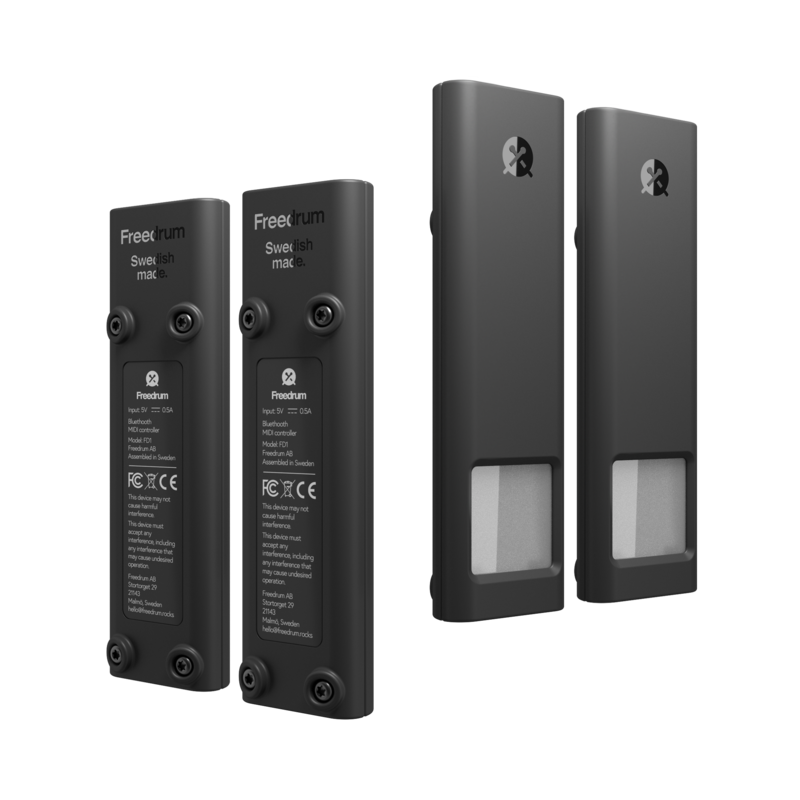 Freedrum only needs the sensors and your phone which all easily fit into your pocket. Aerodrums by contrast needs a computer and the camera with its fairly clunky cable. And it is for the latter point that I prefer Freedrum over Aerodrums. For I love my physical drum kits, but I simply can’t take them with me when I’m not at home. That is when – in the past – I craved a convenient, mobile drum kit that is and Freedrum is exactly that. Do you have any questions left about Freedrums? Do you own it too and have an experience to share? Or do you disagree with what I’ve said in this review? Let me know in the comments. I will get back to you within two days at the latest. 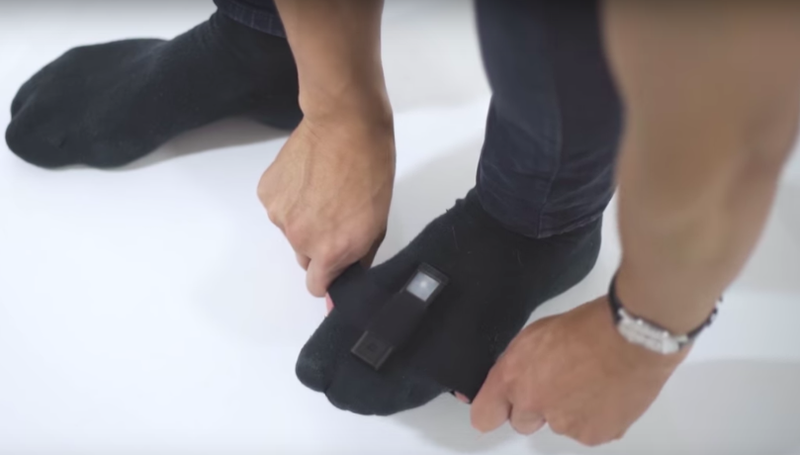 What’s with the foot sensors? Being right handed, I know that your right foot will be the kick drum but is your left foot the hi hat or a double kick? Or both? I’m hoping to get this as a somewhat beginner drummer with a thorough understanding of drums and experience, simply to minimise noise and save money, is this a good idea? Love this review by the way! Very throrough! Thanks for your question! Your left foot is a second kick drum. 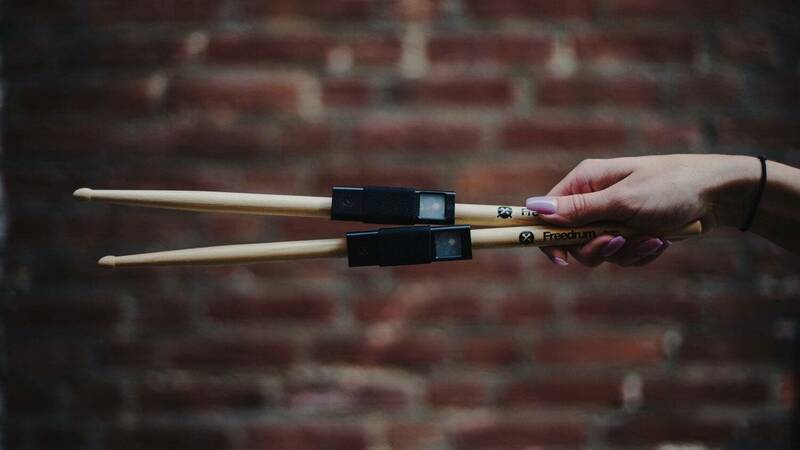 With Freedrum you open the Hihat by twisting your hand and playing in that position. That might sound complicated or uncomfortable but it’s all in Freedrum’s tutrial that comes with the app and very straightforward once you’ve done it yourself.